Botulinoterapija – Dental Clinic "FREEDENTS"
Removal of wrinkles by injections of botulinum toxin type a. Treatment of Hyperhidrosis (excessive sweating) underarm injections of botulinum toxin type a. The man's face is his business card, which gives to understand a great deal about the man: about his character, lifestyle, habits and age. We all want to preserve youth and beauty, to get rid of facial wrinkles and appear younger than their years. 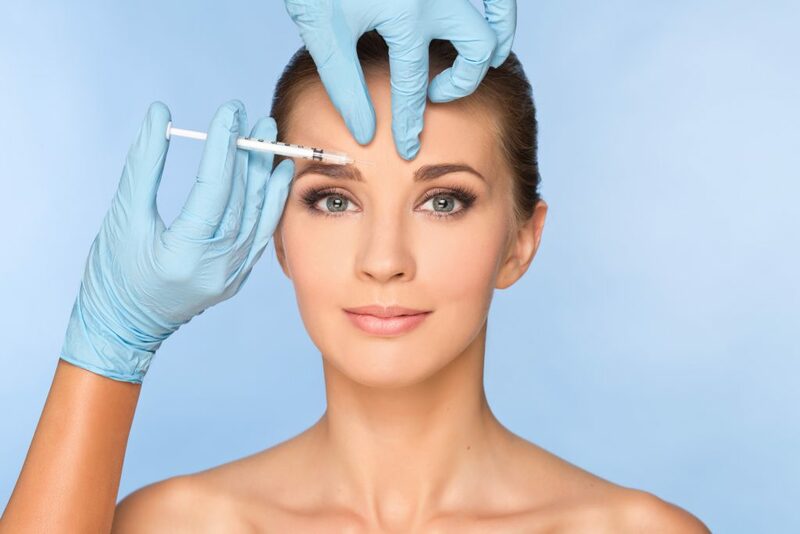 This will help you type a botulinum toxin injections, which are quite popular in aesthetic medicine recently and very effective. Subject to the doses and injection techniques schemes recommended in aesthetic medicine, the drug has no systemic toxicity and therefore completely secure. No reports of allergic reactions. The drug is also used in Pediatric Neurology in dosages, in tens times exceeding the dosage used in aesthetic medicine. Botulinum toxin type a, after the introduction of the injection, blocks acetylcholine (neurotransmitter that facilitates the neuro-muscular reduction), and reduced activity of muscle receptors, muscle fibers relax, muscle gipertonus, t. (e) the muscle stops declining and is in a relaxed state for a long time, and the skin is smoothed over it and accordingly razlazhivajutsja wrinkles, with nerve fibers are not damaged and blood circulation and muscle power is retained, so the muscle atrophy does not occur even after repeated injection. It is also known that botulinum toxin injections in the underarm area reduces sweating, so widely used in the treatment of hyperhidrosis. These advantages also added the fact that the sensitivity of the skin it is not suffering, and the neurotoxin through 6-9 months completely eliminated from the body. How long does and when visible effect from the procedure? Because the drug is reversible, effect from the procedure maintained for a period of 3 to 6 months. The weakening of muscles you can feel already on 3-4 day, but the final result will only be visible through 14 days after the procedure. 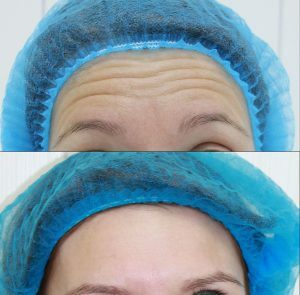 Via 3-6 months neuromuscular connection is restored, the muscle fibers begin to decline and wrinkles are visible, but for a while, until the muscles were relaxed in an artificial person may wean away from harmful habits, resulting in facial wrinkles (a habit knit their brows eyebrow, prishhurivat' eyes, active motility forehead when emotions, etc.) and then the wrinkles may not return. For more permanent results it is recommended to perform the injections 2 times a year. the first days of menstruation. lack of effect (in case of individual immunity muscles to botulinum toxin in 1-2% of cases). First, the doctor advises you, collects medical history, evaluate indications and contraindications. Patient sign an informed agreement procedure. Fotoprotokolirovanie patient at rest and mimicheskogo voltage. Identification and marking of points injection, calculate the number of medication for the patient. Surface treatment of the skin before injections with a mild antiseptic. The introduction of the drug in the necessary areas. Recommendations for care after the procedure. Follow through 2 weeks to assess the result with the obligatory fotoprotokolirovaniem. 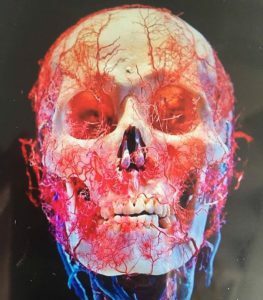 After 60 years-MIME musculature largely lose their tone, her role in the formation of wrinkles is low, respectively, and the scope of the botulinum toxin is very limited.